Buying or building a complete winery setup costs millions. It’s an upfront investment that’s prohibitive for many who want to get in the game. Luckily, there’s an alternative—one that’s gaining popularity across the country. A custom crush is a licensed and bonded winery that lets other wine brands make wine at its facility. 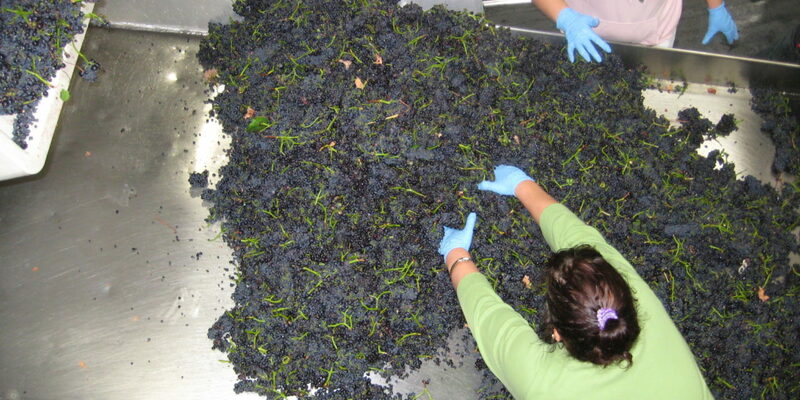 So many reasons exist for custom crush, including shared costs of processing, storage, grape sourcing, bottling, and warehousing; not to mention consultation, troubleshooting, and on-the-spot collaboration with rock star winemakers and fellow custom crush clients. It comes down to economies of scale. By bringing together multiple small brands to divide equipment, facilities, and storage space expenses, as well as encourage cooperation and experimentation, custom crush operators can see a return on their investments much sooner—and provide big savings and convenience for small producers. Bulk custom crush places might charge $500 to $1,000 per ton to process (about $8 to $18 per case), while high-quality, boutique facilities charge anywhere from $1,500 to $3,600 per ton ($26 to $60 per case). Still, instead of millions, this means you can spend as little as $20,000 to produce a vintage that’s all your own. Housed in a former factory for cement roof tiles, The Stomping Ground in Gilroy, Calif., provides a unique blend of shared winemaking resources and wine tasting opportunities. 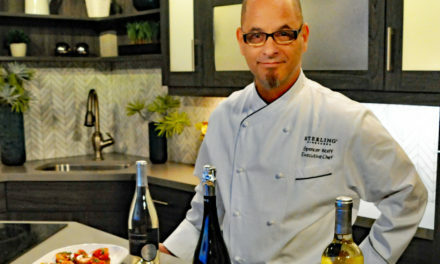 Owner Jason Goelz, also of Jason-Stephens Winery, says more than 15 wineries (including his own) currently use the facility to create, blend, bottle, and store their wines. There are two ways to set up a shared processing facility: as a custom crush or as an alternating proprietorship (AP). Each requires a different license. If you set up as a custom crush operation, clients pay to process their fruit under your bond and under your supervision. Even if the winegrapes are grown or purchased by the client, the produced wine belongs to you until state and federal excise taxes are paid by the client, who must also obtain the proper license, which varies by state, to resell the wine. 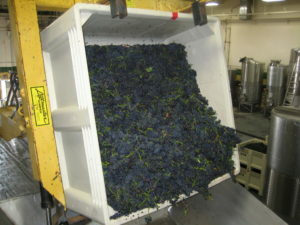 The custom crush winery is generally responsible for all label approvals and maintains all records and reports. AP clients must fully qualify as a winery with the TTB and do all their own recordkeeping, tax payments, labeling, and reporting. They essentially lease your space and permit, bringing in their own grapes and arranging to use your processing equipment, often providing their own labor and expertise. The TTB requires far more paperwork for AP arrangements, including written agreements between “hosts” and “tenants” (aka licensees) that state each licensee’s plan for conducting their own winery operations. All clients must carry their own insurance, and be properly permited and licensed for their particular situation. Naumes in Oregon is set up as strictly a custom crush operation (though it’s ultimately left the option open for now, in case clients ask for that in the future), while Owl Ridge Wine Services in Sebastopol, Calif., has both custom crush and AP clients. When owner John Tracy took over Owl Ridge in 2005, the 40,000-square-foot space was already well outfitted for custom crush, and many of the original clients, some with AP agreements, stayed on through the transition. 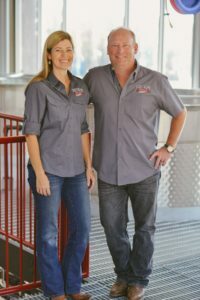 Tracy and General Manager John Tierny have added more than 83 tanks ranging from 250 to 10,000 gallons in capacity, along with open top fermenters that can hold from 5 to 8.5 tons. “Many of our tanks are from Santa Rosa Stainless Steel and Quality Stainless Tanks [both in Sonoma County, Calif.]. 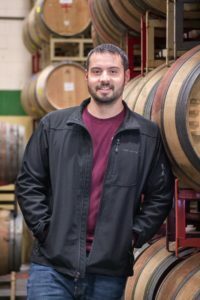 We also have two crossflow filtration units that are always in use, as well as a bottling line,” says Cory Walker, Owl Ridge assistant general manager, who has a background in cellar work. He adds, “Having an onsite lab and bottling line is a real plus.” A fully equipped in-house lab is a great draw and convenience, agrees Walker. 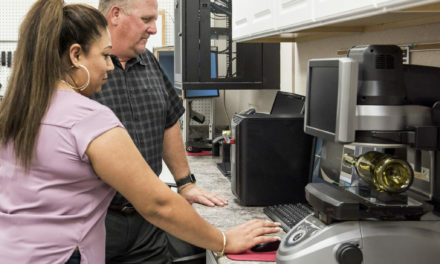 All measurements such as °Brix, VA, pH levels, sulfur, titratable acidity, malic content, alcohol, and residual sugar can be evaluated onsite, using the staff lab technician, without sending samples out to an outside service, saving money and time. 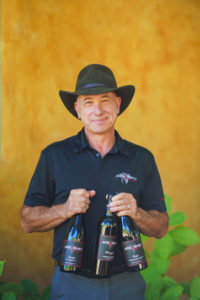 With 20 to 30 clients per year and 15 different winemakers, managing the production schedule at Owl Ridge can be tricky. Typically, custom crush contracts specify the services the operator is to provide, and prioritization is based on when fruit comes in. Walker says they ask clients to give at least 48 hours notice of fruit coming in and they work the schedule to accommodate the different types of fruit and the condition of it. “We don’t have priority services. All the clients have the same access,” he says. Rack & Riddle in Healdsburg, Calif., processes 1.5 million cases yearly, about 40 percent of which is méthode champenoise sparkling wine. With 150 different clients from as far away as Texas and North Carolina, and two or three bottling lines on double shifts running daily, how does the train stay on the rails? Says Winemaker Penny Gadd Coster, “You have to stay focused and get everyone on the same page. We expect clients to be a partner, not a bystander. The biggest challenge is to make sure everyone is happy. This year, we brought on five more assistant winemakers to train them in sparkling and ensure continuity.” That’s planning ahead to sustain customer service, which is at the heart of success in this business. The custom crush craze has extended to spirits as well. Pete Barger, principal of Southern Distilling Company (SDC) in Statesville, N.C., believes there’s a great need for a contract distilling service that provides both collaborative input and custom product. “Lots of people out there start with the same whiskey mash bills, but the marketplace wants a story behind the brand and customers want authenticity. SDC’s current 25,000-square-foot facility is capable of producing 15,000 53-barrels of spirits annually and also offers long-term barrel storage. Equipped with both a Vendome pot still (for small prototype runs) and a 40-foot-tall column still (for full production), SDC also has a bottling line with three different labelers that can handle just about any bottle shape. Services can support small brands and those filling tanker trucks with whiskey or rum. SDC is competitively priced, and Barger is aiming to fill three shifts worth of production in 2019; to this end, the company just announced an extensive expansion. Most of the custom distillers in Kentucky and Tennessee are sold out of capacity (meaning their distillation equipment is fully booked for the year), while as of press time, Barger has 2019 capacity still available. Distiller Colin Baker’s love of Scotch began as a fascination with beer, so it’s fitting he would turn underloved vino into potent distillate at his Loch & Union facility in American Canyon, Calif. “A lot of people in the industry are surprised by the capacity at our facility,” he says, pointing to the three different CARL copper stills (from Germany) that are kept busy producing Loch & Union’s own award-wining gins and for clients mostly turning out clear brandy, although they’re also working on custom single malt projects. 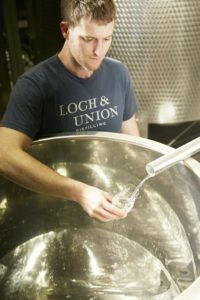 Loch & Union bosts a 5,000-liter wash still, a 3,200-liter spirit still with a purifier, and a 3,200-liter pot still with 8-plate column that’s fitted with an external vapor basket, enabling gentle extraction. 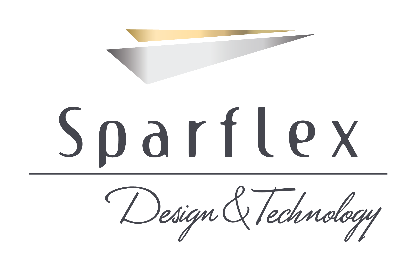 Because it also has a high-speed Borelli bottling line with a four-head rotary labeler, L&U can handle any bottle size except 1-ounce samples. Says Baker, “We skipped the ‘starting small step,’ and built a large facility, with 8,000 square feet for mashing, fermentation, and distillation, and another 14,000 square feet for storage. We can grow our brand organically and help others do the same. With the huge proliferation of craft brands across all forms of booze, custom crush facilities play a key role. Those who offer onsite services such as labs, bottling lines, barrel and case good storage, cold storage for incoming fruit and access to tasting room quarters, are apt to stand out from the competition, as this category continues to gather steam. 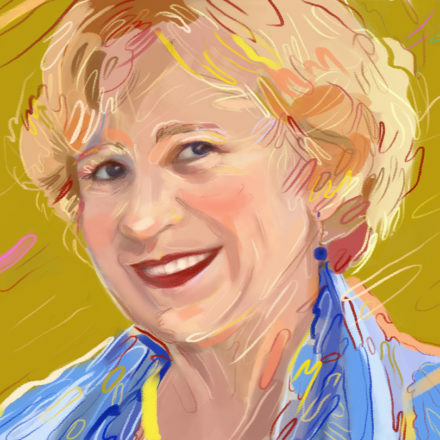 Laura Ness, aka “Her VineNess,” is a free-spirited freelance journalist who enjoys digging up stories about the characters behind the fascinating world of wine and spirits and sharing them with people who want the inside scoop. 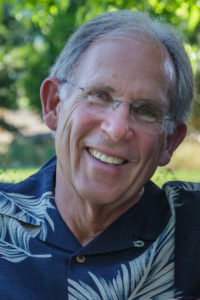 A longtime resident of the Santa Cruz Mountains, she contributes to leading industry and consumer publications and posts frequently on the award-winning blog, WineOh.TV. She can be reached at highperf@got.net. 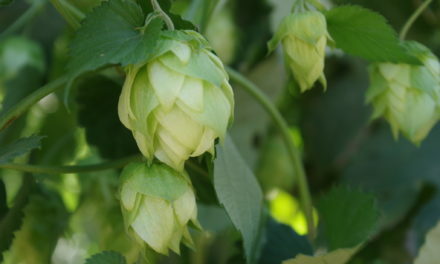 A Lupulin Revolution: As craft beer continues to disrupt the brewing industry, ground-level changes in hop yards bring new opportunity and challenges for growers, brokers, and brewers.